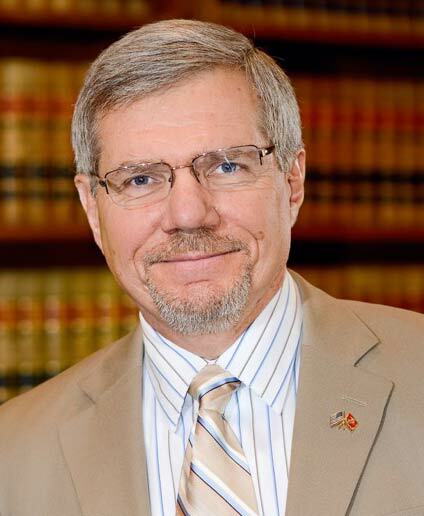 Lead lawyer Robby Robinson has extensive experience in litigating employment law cases to their conclusion, through jury trials and appeals in state and federal courts. Since 2017, Robby Robinson has limited his practice to matters for former clients or to work in association with other law firms. If you seek representation or consultation on an employment matter, contact our colleagues at Aegis Law Firm. Highly-compensated executives and professionals expect excellent legal representation. Employees at every level deserve it. Quest Law Firm delivers that service. We focus on three areas: employment law, executive and professional disputes, and business disputes. By focusing, we believe we do a better job than attorneys and firms who claim to specialize in many different areas. Quest Law Firm’s principal lawyer Robby Robinson has been rated AV* by Martindale-Hubbell’s peer review rating system for over 20 years. The AV rating is the highest rating for lawyers’ performance in terms of professional excellence and for practicing law with uncompromising ethical standards. We strive to give clients a realistic evaluation of their cases and we consider all avenues to accomplish a client’s goals, from negotiation, mediation and arbitration to litigation. We believe effective advocacy includes the willingness and ability to take good cases through jury trial and appeals. Quest Law Firm’s lead lawyer, Robby Robinson, has extensive experience in litigating employment law cases to their conclusion, through jury trials and appeals in state and federal courts. While we always consider settlement as an option, Quest Law Firm will not shrink from going to trial if other avenues to resolution are not successful. Quest Law regularly associates with other lawyers for trials and arbitration. Quest Law Firm is selective about the clients it takes. It is not a high volume law firm. The firm is committed to a high standard of representation and professionalism. We are not sharks. If you want a shark, go somewhere else. Our past and present clients appreciate that. Most people do. We are professional, but direct. If the other side is in the wrong, we will let them know it. If you have unrealistic expectations, we will tell you. We expect the same level of commitment to your case and to us that we give to our clients. We do not play games with evidence or procedures. Our opposing counsel can expect professionalism and straightforward compliance with discovery and procedure, and we expect the same in return. In our experience, most people do not want to sue or be sued unless they have no other option. That’s the way it should be. However, if there is enough at stake, no one should be embarrassed about turning to the courts to resolve their disputes. This why they are there. I would highly recommend Robby Robinson. I found him very professional, thorough, persistent, knowledgeable and easy to work with. He helped me with an issue involving a Fortune 5 company with endless legal resources and prevailed. The very first thing that impressed me with Robby was his desire to understand my situation. He did not take my case without researching the general facts of my case. Robby wanted to know that my case had “real legal issues” and was not just a money grab on my part. Throughout the process, Robby was honest and clear about the strengths and weaknesses of my case. He did not say things just to make me feel good or fill me with grand ideas about value of my case. Mr. Robinson is an extremely professional and knowledgeable attorney. He is a man of great integrity, who has tremendous passion and the utmost respect for the law. His firm's commitment to thorough research, constant communication and attention to detail made the litigation process seamless. His unwavering determination for the pursuit of truth and justice, solidified a confidential resolution for my case. I would undoubtedly recommend Quest Law Firm and Mr. Robinson. We deliver professionalism and straightforward compliance with discovery and procedure, and offer a high level of commitment to your case.